The “story” this go around drops the obnoxious and annoying Sam Witwicky, parents and girlfriends and starts over centering on single father and wannabe inventor Cade Yeager (MARK WAHLBERG) whose teenage daughter, Tessa (NICOLA PELTZ) is growing up and wanting to get away, going to college and be with her boyfriend whom Cade does not know about. If you enjoy family drama in your Transformers movie, then the first 20-minutes are made for you! We get arguments over Cade not paying the bills, stealing electricity from the neighbors and inventions in robotics that barely work. He also can’t pay employee/partner Lucas (T.J. MILLER) who is also a surfer/laid back kind of dude and an uncle-like figure to the Yeagers. Meanwhile, we get introduced to our bad guys: a black ops spook named Harold Attinger (KELSEY GRAMMER) who has tasked his team to illegally hunt down all robots, while the government only authorizes capturing Decepticons and granting asylum to the Autobots after the carnage in Chicago. Once taken, they are shipped to a government defense contract company KSI run by Joshua Joyce (STANLEY TUCCI) who uses the metal to create their own Transformers to which they have control over. Anyway, due to the hunting of Autobots, they now have a grave mistrust of humankind, though it gets somewhat restored. While on a job to buy some junk from a rundown theater, Cade comes across a defunct semi-truck (somehow, someway sitting in the theater itself, go figure) so he buys it, taking it back to his barn/shop hoping to get spare parts to sell. In the process of examining it, this is between some more family drama mind you, he discovers when charging it that it is a Transformer and despite a government reward of $25,000+, he chooses not to. Soon enough, the Transformer springs to life and we discover it is indeed Optimus Prime (voiced by PETER CULLEN). Blah, blah, blah, Lucas turns Optimus Prime in hoping for the cash and instead Attinger sends his hit squad, along with a robot named Lockdown (MARK RYAN) whose been looking for Optimus. With their home all blown up because… EXPLOSIONS!… the Yeagers, along with Tessa’s racing boyfriend Shane (JACK TREYNOR), are on the run from Lockdown and his crew and the CIA Black Ops squad. They get help from not only Optimus but the few reaming Autobots including Bumblebee, a samurai warrior (KEN WATANABE), the Dude (JOHN GOODMAN) and others I can’t remember, nor care to. There’s also some kind of alliance between the CIA Black Ops and Lockdown where he wants Optimus Prime to deliver back to his creator or some crap like that. Honestly, there came a point where I couldn’t care less and with each explosion and fireball, my mind kind of drifted away. You know exactly what to expect from a Michael Bay-directed Transformers movie: patriotic angles with the American flag placed in the right frame, low angles, unexplained glistening skin tones especially on the female lead, this go-around Nicola Peltz, and: EXPLOSIONS! BOOM! POW! FIREBALLS! MASSIVE DESTRUCTION (but minimal carnage), all with an inane plotline. Well, not only do we get those, it’s multiplied because Bay decided he need not an editor and pushed Age of Extinction to an excruciating 165-minutes. In god’s name, why? 30-minutes could’ve been cut and not missed. Although this go-around we get new human actors, I can’t honestly see much of a difference. 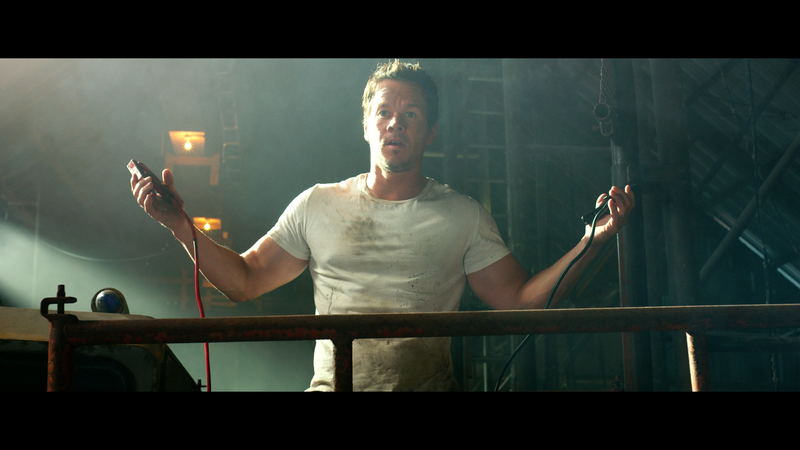 Ok, Mark Wahlberg is a big upgrade over Shia Labeouf, at least we can guy him as an action hero versus Labeouf’s constant shouting. We also get a Megan Fox replacement with Nicola Peltz and she’s not bad, though like Wahlberg and frankly all the other human actors, they don’t get a whole heck lot to do but run around. Bay and screenwriter Ehren Kruger, no doubt cashing in another easy paycheck, attempt to give them some kind of personal element which I neither cared about or needed, and there were a few moments that were downright laughable especially when, out of nowhere, we get an angelic voice piped in early on during the father-daughter dynamic scenes. Basically, the humans are secondary to the explosions and, rightfully so, robots. 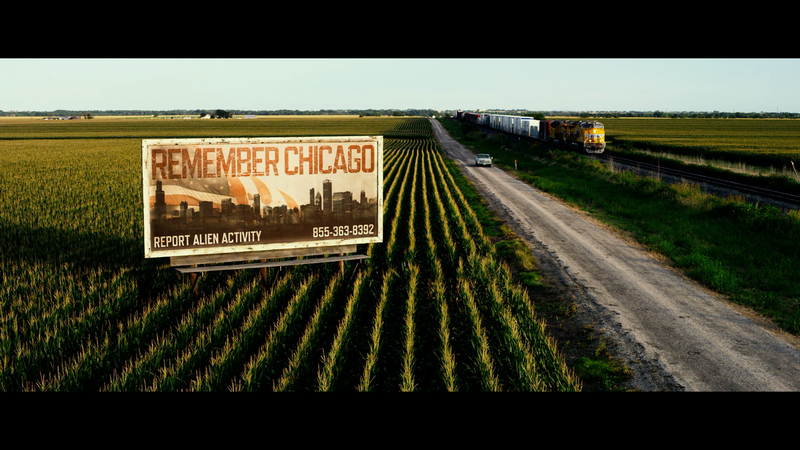 Directed by Michael Bay, Transformers: Age of Extinction is beyond a mindless movie, heck I’d have more respect if it were, but instead replaces any resembling a coherent story with explosions, more explosions and collapsing buildings, this time in both Chicago (again) and, especially, Hong Kong. And there’s one of the film’s problems, and with Bay’s Transformers movies in general: each scene bleeds into the next with nothing to distinguish one from the other. It’s all just explosions, building collapses and gunplay. In any case, as the minutes ticked by I could sit there and stare, not in disbelief, disgust or in whatever adjective you like, but with numbness. I wasn’t angry with it but I was just… “there” if that makes any sense. 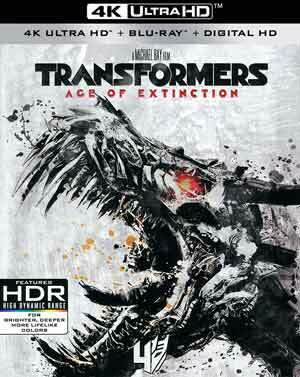 Don’t get me wrong, I never ever want to see Age of Extinction again but it’s not the worst movie I’ve ever seen, or even the worst Transformer movie I’ve ever seen (Revenge of the Fallen) yet it’s time for Bay to move on and either someone else to take over or just drop the franchise all together (yeah, right). I’ll leave you with this line from the movie: “That’s a bad idea. But then again I’m all about bad ideas.” Gotta think that’s a Bay line right there. Revolution Within Extinction (2:02:50; HD) is an extensive eight-part featurette covering a fair amount of the filmmaking process from the different locations, the new cast, cars and other changes to the franchise. Just Another Giant Effin’ Movie (10:03; HD) has some BTS footage of things blowing up, cars and helicopter chases, and how it’s all set up. A Spark of Design (15:24; HD) is a tour of the Hasbro campus where the new Transformers were created. T.J. Miller: Farm Hippie (19:43; HD) finds the actor going to Mark Wahlberg’s home, Michael Bay’s work office, Kelsey Grammer’s agent’s office (interviewing Grammer) and other places in this jokey featurette. 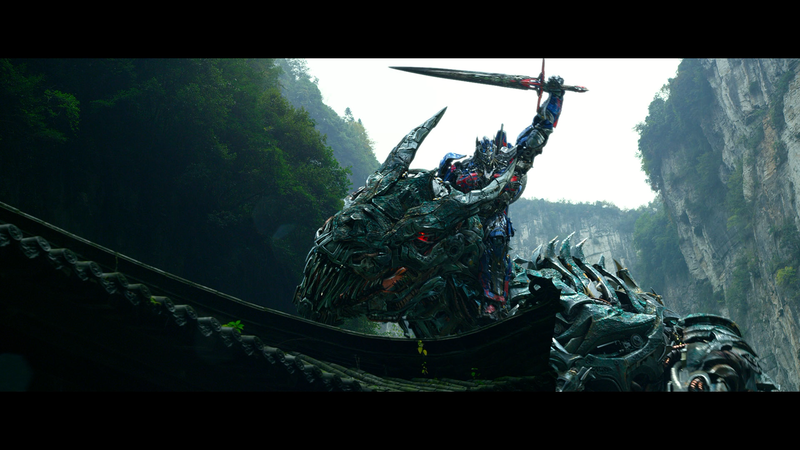 Under trailers we get two Theatrical Trailers, Kre-o Transformers: Take Us Through the Movies (3:42; HD) and Angry Birds Transformers: Origin Story (1:16; HD). 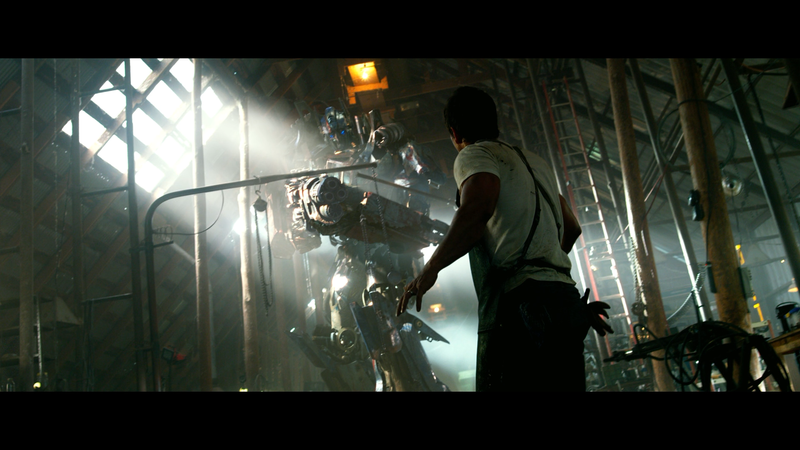 Paramount unleashes Transformers: Age of Extinction onto the 4K format presented in its original 2.40 widescreen aspect ratio and a 2160p ultra high-definition transfer. As with the other four movies released on the format, it downright looks incredible. Detail is amazingly crisp and sharp, colors vibrant courtesy of the HDR10 (and surely Dolby Vision for those with TV’s with the tech) and blacks are stark without appearing crushed. Since the Blu-ray was already excellent, it’s no surprise that the 4K takes it to the next level. The Dolby Atmos track (probably the same as the original Blu-ray release), the first film to employ the codec, is, like with the picture, astounding showcasing the action sequences with the 100s (maybe 1000s) of explosions giving the audio a nice boost and good range. But when we do get the few quiet scenes, dialogue levels do sound crisp and clear throughout while the music by Steve Joblonsky, and the catching song from Imagine Dragons, helps out as well. Heck, the opening scene not only shook the room, but pretty much my entire damn house, I’m so thankful I don’t live in an apartment or condo with close neighbors. 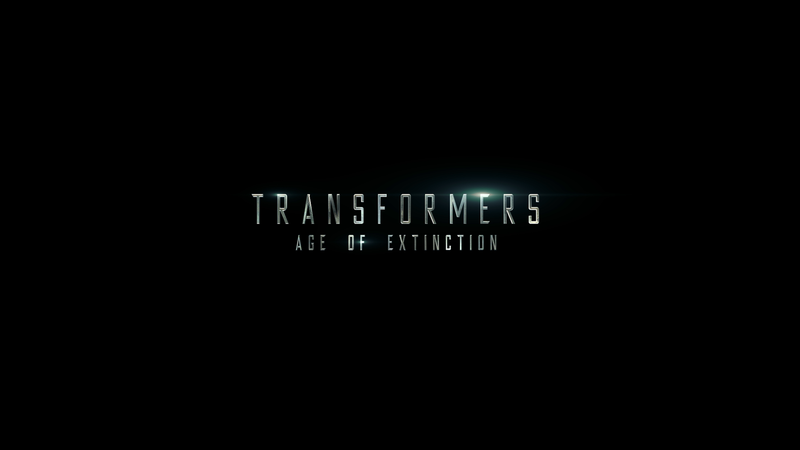 Transformers: Age of Extinction is the latest from Michael Bay and to be honest, it very well may be the worst, even worse than Revenge of the Fallen if only because it clocks in at insanely ridiculous 165-minutes, 40+ minutes could’ve been cut and not have been missed. 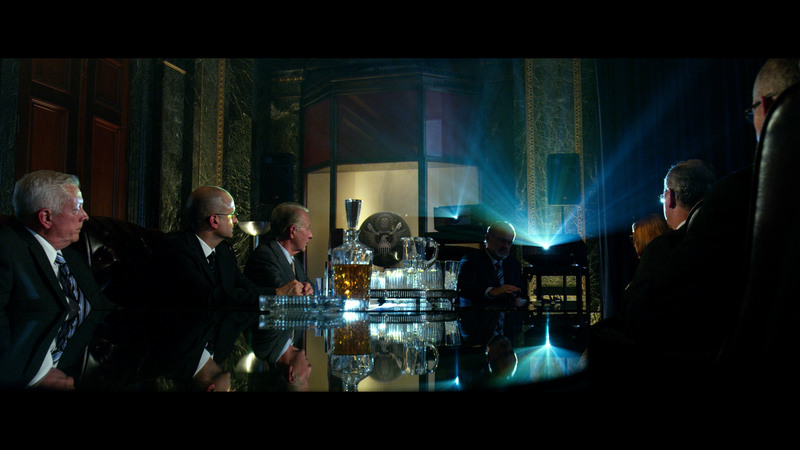 The 4K released by Paramount offers up excellent video/audio transfers and a fine selection of bonus features.